Groupassociations: If you were a fruit, what fruit would you be? 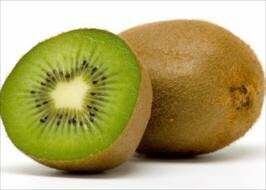 I'd be a Kiwi. Fuzzy on the outside. Tart on the inside. I'm also delicious in a salad. Also, this is Kiwi in a tree. Don't they look like a cluster of hairy balls? And finally, I'd have a bird be like me. A bird that can't fly because while my dreams want to take flight, /cry, I'M ALWAYS GROUNDED BY SELF DOUBT. And with that sentiment, I'll include a link to Nelly Furtado's song, I'm like a Bird.